170 is an imprint on a yellow colored, an oval shaped pill identified as acetaminophen and hydrocodone bitartrate in strengths 325 mg and 7.5 mg respectively. It is a narcotic analgesic combination pill used in the treatment of pain. It is supplied by Sun Pharmaceutical Industries Inc.
170 pill contains two active ingredients: hydrocodone and acetaminophen. Hydrocodone is an opioid analgesic. It occurs as fine, white crystalline powder. Acetaminophen, also known as paracetamol, is a white crystalline powder which is odorless but has a slightly bitter taste. 170 pill is a combination of two active ingredients: hydrocodone and acetaminophen. Drug class: Acetaminophen is an organic compound. 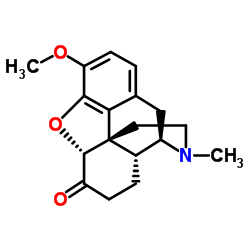 It belongs to the group of 1-hydroxy-2-unsubstituted benzenoids. Drug class: Hydrocodone is an organic compound. It belongs to the group of morphinans. The combination of Hydrocodone bitartrate and acetaminophen is given to individuals suffering from moderate to severe pain not responding to other forms of therapy. Such pain may be experienced after trauma or surgery or in diseases such as rheumatoid arthritis, cancer, neurogenic pain etc. It is also given to patients of a chronic cough in combination with antihistamines or anticholinergics. The presence of a narcotic (hydrocodone) in the 170 pill warrants its regulation by FDA and DEA under the controlled schedule act of 1970 under which it is grouped as a schedule 2 drug which means that it has a high potential for abuse. Therefore it’s a prescription-only drug and its use is closely monitored by the caregiver. What are different brand names for 170 pill? Acetaminophen/hydrocodone 325 mg/7.5 mg is produced by several different companies in the US. The brand names for this pill are Lortabm Lorcet, Vicodin, Hycet, Norco, Xodol. It is an inexpensive drug and is covered by most insurance companies as well as Medicare, but if you do not have any health plan even then it will cost you $16.96 on GoodRx through coupons. Hydrocodone is a weak agonist at all three opiate receptors (OP1, OP2, and OP3). These receptors are found within the CNS and are G-protein linked receptors which function as modulators of nerve transmission signals at synapses. These receptors control the activity of the enzyme adenylate cyclase, which in turn controls the amount of cAMp in the cell. When the drugs attach with the receptor, both the activity of adenylate cyclase as well the amount of cAMp in the cell decreases. This will reduce the release of all types of neurotransmitters, including those which cause pain. Other effects of hydrocodone include decrease neuronal excitability, and decreased the release of hormones such as glucagon, insulin, vasopressin and somatostatin. 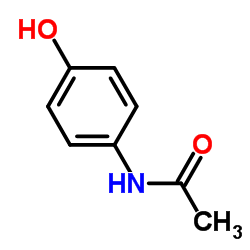 Acetaminophen acts by irreversibly inhibiting the enzyme cyclooxygenase, which is involved in prostaglandin synthesis (one of the pain-causing molecules). This will result in an increased threshold for pain. Acetaminophen is also an antipyretic. It brings about this action by affecting the thermoregulation centres of the hypothalamus resulting in peripheral vasodilation, sweating and hence heat dissipation. Can 170 pill cause dependence? Mental and physical dependence is a known side effect olong-termrm hydrocodone use. However, when hydrocodone is used for pain management, it has been observed that the risk of dependence is low. Probably this is the reason that why it has been indicated in pain management only and although it has other therapeutic effects, it is never given for other indications. Physical dependence is much more serious than mental dependence as it may lead to withdrawal effects. Severity of withdrawal effects can be reduced, or these maybe completely avoided by gradually reducing the dose over a period of time before treatment is stopped completely. Absorption and distribution: Hydrocodone is available only as an oral formulation and is absorbed from the GI tract. Plasma protein binding of the drug is variable and ranges from 20 to 50%. Onset of action: The onset of action of hydrcodone is about 10 to 20 minutes. Metabolism and excretion: Hydrocodone is metabolized in the liver. The main metabolites are norhydrocodone and hydromorphone. The parent drug and its metabolites are excreted in urine. Absorption and distribution: The bioavailability of the drug is very highthe (almost complete drug is absorbed). The volume of distribution of acetaminophen is 50L. 20% to 50% of the drug binds with plasma proteins. Metabolism and excretion: The drug undergoes anyone of the following reactions in the liver: either glucoronidation or sulfation or N-hydroxylation and dehydration, then glutathione conjugation. Acetaminophen is excreted in urine. How long 170 pill stays in the system? Half-life of hydrocodone is variable. Therefor the time needed to completely clear the drug from an individual’s body after complete cessation varies 18.15 hours in some people to 22.55 hours in other. On the other hand half-life of acetaminophen is relatively constant in all individuals and is reported as 3.1 hours, therefore to fully clear oxycodone from an individual’s body, 17 hours is needed. Therefore after cessation of entire drug, it is expected to be removed from the body within 24 hours.